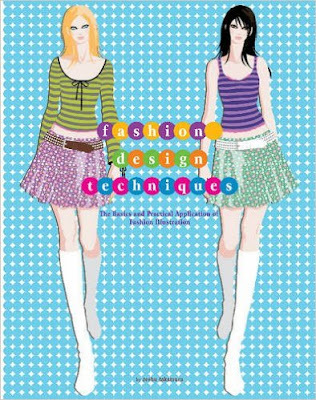 Schiffer publishing sent me an English language copy of Fashion Design Techniques: The Basics and Practical Application of Fashion Illustration by Zeshu Takamura to review. It's here on Amazon. 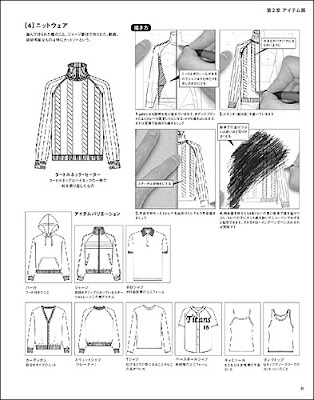 The author is a Professor of Advanced Fashion Design and Head of the Fashion Illustration Laboratory, Faculty of Fashion Science, at Bunka Gakuen University's Graduate School in Tokyo. He is active in fashion illustration, design, and research at publishers, agencies, and apparel manufacturers. His website is here www.zeshu.com. I put it into google translate so I could look around. Some of the site is in English as well as other languages. 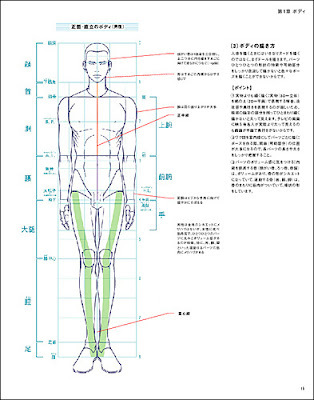 You can see more images from the book there. The book explains basic principles behind making great design drawings. I think anyone wanting to up their drawing skills could benefit from this book. It explains how to create drawings that clearly represent the shape, material, pattern, color, and other elements of garments. 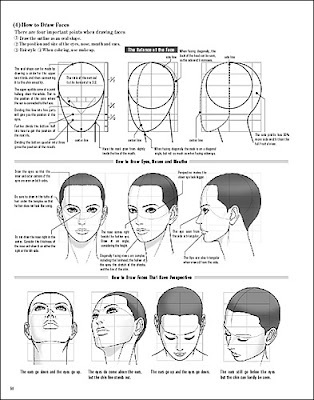 There are four chapters; the first covers the proportions and drawing of the body, the second is about technical drawing, the third is on fashion illustration and the final chapter is about computer drawings in Photoshop and Illustrator. I could see knitting designers who are submitting to magazines or putting together a book proposal would find this book a great resource. It's difficult to put together a good submission without these skills. 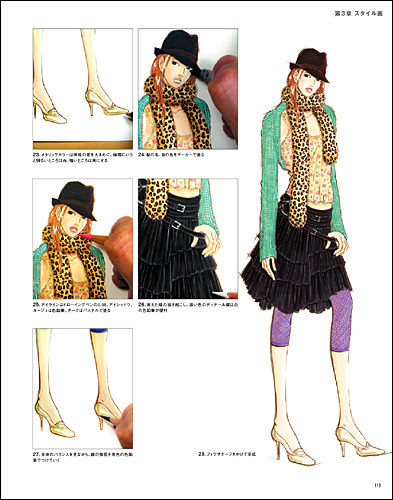 The book takes you step by step through the process of overlaying a garment drawing on top of a drawing of a body with many tips as to how the body and the garment relate to one another. If you are working on pattern schematics those are different from technical drawings as they are done in the fashion industry. These drawings look more like the line drawings sewers are used to seeing on pattern envelopes. Schematics are all about measurements and construction of the pieces.